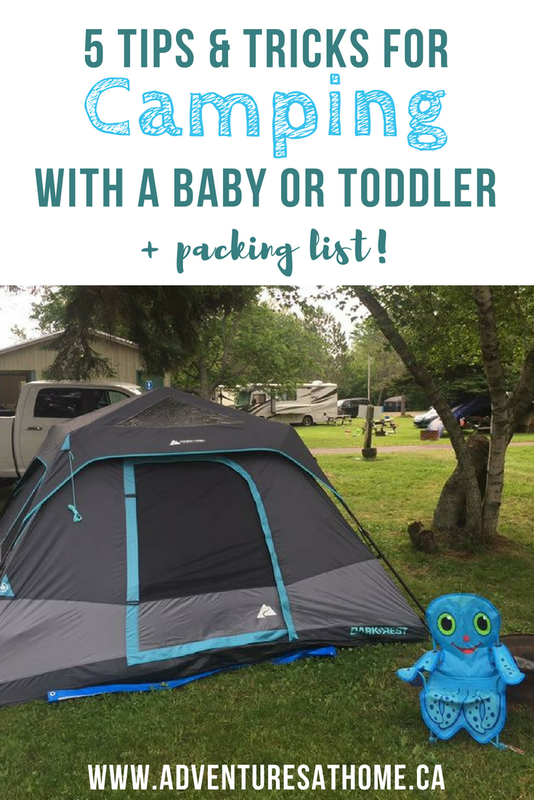 5 Tips & Tricks For Camping With A Baby Or Toddler + Packing List! Camping with a baby for the first time can be intimidating to say the least. Our son was 4 months old the first time we took him camping. We are usually tent campers, however the first year we took him, we rented a camper to make things a bit easier. 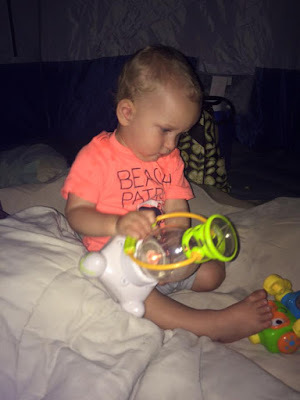 The second time we took him camping, he was 16 months old and we camped in a tent at Parlee Beach Campground. He is 4 years old now, and we've gone camping every year. I feel like I've learned a lot along the way, and wanted to share 5 tips & tricks + a printable camping with a baby checklist with you! 1- Don't panic about breaking your schedule. I know with babies, everything is always about schedule, schedule, schedule. A weekend away can seem like a daunting endeavor, but don't panic. 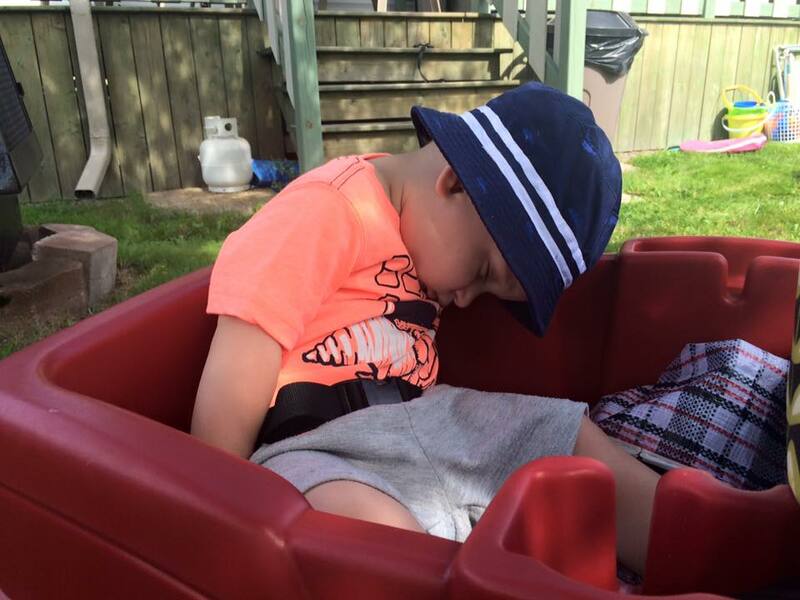 The first thing to remember is that if a baby is tired enough, nap time can take place anywhere. On our first camping trip, our son slept in his stroller while we visited local attractions, in his pack-n-play at the camper, and even on a blanket in the sand during a nice cool day at the beach. 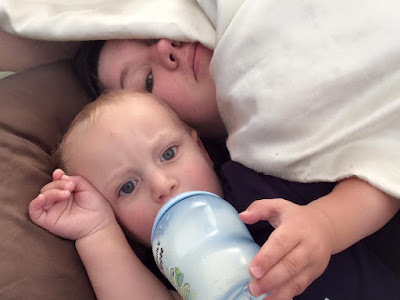 If your baby absolutely can not break their schedule, try to schedule your longer commutes during nap time, or plan for down time at the campground around that time. If your campground has laundry facilities, it may also be a good time to set up a pack-n-play and get some laundry done while the baby naps. 2- Speaking of sleep, a safe sleep space is a must have. If you're camping in a camper like we did that first year, you should have no problem finding space for a pack-n-play. A large family sized tent should also be able to easily accommodate one. It's important to follow safe sleep recommendations even while camping, so babies need a firm, flat surface with no blankets or extras. It can get chilly at night, so a sleep sac is a perfect alternative to a blanket. For toddlers, there are some really cute travel cots that would be perfect for tent camping as well, and then you can transition to a firm air mattress once they reach preschool age. A safe sleep space is a must- even if your toddler ends up on your air mattress for morning cuddles. 3- Bring a separate cooler with ice just for bottles, formula/breastmilk & snacks. Having a separate cooler for the baby's food will make it easier for you to quickly grab things, since you won't have to dig through a huge cooler full of other stuff. It's also more sanitary to not mix the baby's stuff with everything else. 4- Keep active and enjoy the fresh air. This one is specifically for the toddlers. Keep active! Go swimming, play on the beach, visit local attractions, etc. The fresh air will knock them out by the end of the night and then you can relax around the campfire while they dream the night away. My son sleeps better while camping then he does at home. He fell asleep on the walk back to the campground. Entertainment is key for moments like setting up the tent, unexpected rainy days, or long commutes. The second Summer we took our son camping, we had the hardest time setting up our tent. We had to buckle him into his wagon with a few toys while we struggled to set it up. The third Summer, we bought an instant tent. Bring your baby's favourite toys, a few books, beach toys, a fun new flashlight or lantern for your toddler, etc. 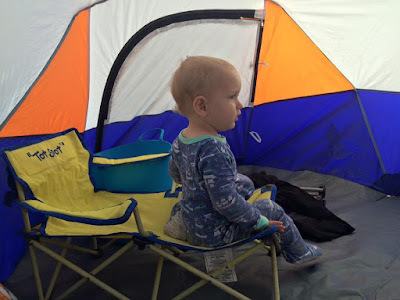 He loved having his own chair inside the tent. This Little Tikes ghost lantern was a hit! 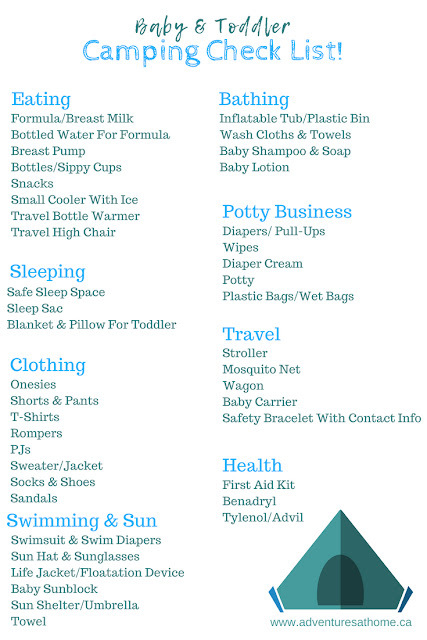 Check out my baby & toddler camping check list! Comment below and tell me about your best camping trip, or any tips & tricks of your own for camping with a baby!